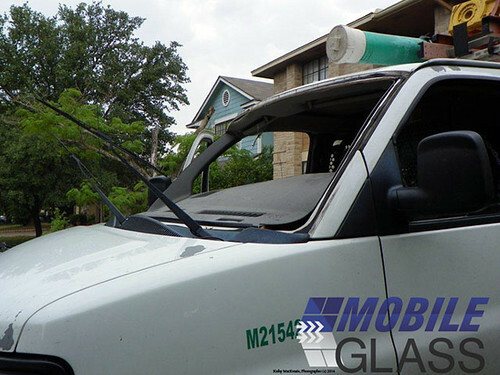 Mobile Glass offers world-class mobile windshield replacement in San Marcos, Tx at your home or office. No need to travel to Austin or San Antonio to get to an auto glass shop, You Call, We Install AND We Come To You! Providing mobile service on site, where it’s easy for you, is our pleasure. Our mobile windshield replacement trucks are equipped with everything from lights to electric invertors, tents to vacuum cleaners. Windshields are big and heavy, but when the job calls for it we can send a team of expert technicians to ensure your new windshield is set in place with precision. Why miss work or a class at Texas State, stay put and continue to live your life while Mobile Glass replaces your windshield for you. Call now and get an accurate quote with all materials, parts, service and tax included -no haggle, no bait and switch. We always offer honest, up-front auto glass quotes with just a phone call. We only provide our customers with the best OEM & OEE auto glass parts. Your auto glass replacement parts are secured from leading manufacturers, and keep your vehicle looking as good as new. Our service comes with a warranty against material defects and workmanship. A cracked windshield requires immediate attention to avoid further damage. If a windshield chip is ignored, it could lead you to need a complete windshield replacement. Simple windshield chips can be easily repaired, but cracks are a bit more labor intensive. A windshield crack is generally 3-inches to 6-inches long. Longer cracks measure more than 6-inches and typically are beyond repair. It is advisable not to attempt a do-it-yourself repair job with cracks and risk damaging your windshield beyond repair. Leave the job to expert technicians at Mobile Glass. Our windshield repair technicians use the latest repair kits from Equalizer tools for a clean, confident and timely repair job. A power window repair or regulator repair requires the right skill and expertise due to the more involved nature of the task. This isn’t just replacing a door glass, but actually removing the entire window regulator and often motor harness to install a new one. Mobile Glass technicians have the requisite experience and know-how to repair power windows effectively. Once you place a service request, our technician is dispatched to your workplace or home, usually the same day, to get you quickly back on the road. Just to give you an idea about our complete and all-inclusive services, here’s a look at some of the vehicles make and models we work with.